It's great news for East Belfast, as plans have been granted for Sainsbury's to build a major supermarket in Dundonald. 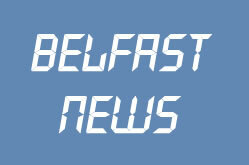 The plans, now approved by Environment Minister Alex Attwood, include business units on the Upper Newtownards Road. It is hoped that the project will enhance the area and boost local employment. However, there are concerns that another supermarket so close to Dundonald village will have a significant detriment to local shops, pulling trade away. The village which may well benefit from jobs at the new site, may well see evn more stores close as Asda and Sainsburys compete. The Minister, Mr Attwood who had just refused ASDA plans to build a new store in Newtownards, said the decision to approve the plans was a difficult one. The development is certainly welcomed, but the Northern Ireland Executive should now look at how to encourage passing trade to stop off in Dundonald.